The first official day of Fall 2017 is not until next week, however, I feel as if everyone is already in a autumnal state of mind. Thus, I wanted to address one of the biggest emerging fall fashion trends I have noticed – the plaid blazer. This classic silhouette and glen plaid pattern is very reminiscent of timeless European styles and is definitely making a comeback this season. This past NYFW, I saw big names like Chriselle Lim, Aimee Song and Eva Chen rocking a similar style outerwear. The week before heading to New York Fashion Week, I happened to stumble upon this glen plaid blazer at Goodwill and it miraculously fit me perfectly. It was a coveted piece and I knew it would be the perfect thing to wear to New York because it’s such a fall trend right now. Although a blazer is often associated with more formal occasions, I knew I wanted to dress it down, so I opted for this plain white crew neck tee from DSTLD (use the code ‘enclothedcognition’ for 10% off) and these grey, distressed boyfriend jeans from Hollister (similar). As far as accessories, my backpack and belt were thrifted years ago and the boots were from H&M (similar). One of my favorite things to do when it comes to styling is adding some juxtaposition. I love this outfit because the structured glen pattern blazer pairs so unexpectedly well with the loose boyfriend denim and cropped tee. This combination is a great fall outfit to wear when you want to look effortlessly put-together. Also, props to Dennis for taking these amazing photos. I met up with him before the Mochi NYFW presentation and it was such a pleasure working with him. If you are into street style, definitely check out his work. He has really captured some beautiful people and outfits! I’ve been seeing plaid blazers everywhere. They are so cute through, and a really good trend that could keep living on. I love this outfit! It has the potential to look too baggy and shapeless, but the way you’ve paired all the pieces is flawless. That blazer is such a great find. So Stylish! I love it too! Omg a plaid blazer is on my wishlist! I went to the mall the other day and I couldn’t find any I liked 🙁 I love how you styled this one!! Beautiful outfit and great blazer! The blazer ties the look together perfectly! The blazer looks so well with your outfit. You look gorgeous! On the money Keri!..Love the outfit Fashion forward! Really love this outfit with this checked blazer! I’m definitely going to try this trend! I love your take on styling this plaid blazer…very effortlessly chic! Great styling, I love the blazer! I need one of these plaid blazers! I love how you you style, so chic! Very nice and stylish outfit! First of all I’m loving your new blog template! And that blazer is such a good find–so high fashion at a not so high price, haha! Hi Keri, I absolutely loved how you dressed down this blazer. It looks amazing with those boyfriend jeans! I’m obsessed with this trend! Your outfit is amazing, I love the ankle boots! Yeees!! I’m loving this trend so much. Love how you styled it and looooove those booties! Love the look and how you styled the blazer! I have always associated blazers with more formal attire and I enjoyed reading how you dressed it down! It such a great fall-look! Thanks for sharing! Yay! Really like how this post came together for you Keri! Thanks again for meeting up and keep up the great work. I love plaid blazers and you styled your blazer in a perfect way! LOVE exciting GoodWill finds! And this is a perfect idea because I just accidentally came to own some boyfriend jeans and had no idea how to style them haha. Pairing with a blazer will be perfect to make them work appropriate! That plaid blazer is so chic! Love it with the twist front tee! You look amazing in this blazer. I love thrifted items, especially if you have a good eye and idea how to style it. You are definitely rocking this blazer! I swear I’ve been seeing plaid blazers everywhere lately and I’m not mad at it. I definitely love this trend! This blazer is so good Keri!!! Love the versatility, you could rock it with so many different looks! Immediately after seeing these pictures I went to find myself an oversized checked blazer for myself – you styled it in such a chic way and I adore this street-style look! The plaid trend is by far my favorite! It’s so crazy that you found this at Goodwill! I love this trend for fall darling! You look amazing!! You have an amazing blog with stunning & trendsetting styles. We have recently launched Vogueista – a one-of-a-kind, sophisticated social beauty & fashion website. Vogueista brings together a global community of glamour, beauty & fashion lovers to post their personal styles in beauty, fashion & fashion accessories. We offer a plethora of unique features for our users to get inspired by edgy styles, follow fashionistas like you, create style catalogs, & much more. We invite you to showcase your styles on vogueista.com and expand your style network. Come join our community. Be a Vogueista! This plaid blazer is really making a trend in the blogosphere nowadays, and I can see why. Cute casual outfit dear! Love your boots! LOVE this look. I can’t wait to break out my fall wardrobe, esp. the oversized plaid blazer! These blazers are all over internet and I’m huge fan of it. So excited that blazers are back! Loving your plaid jacket. I am also impressed that you found it at goodwill! I am a fan of up cycling! Your combo is a wonderful and unique juxtaposition! Love the knotted tee to define your waist and add another styling element. Also love the patent booties, a bit of shine is just right! My son is in school not too far from you ! Howdy, you are definitely correct. I frequently read your articles thoroughly. I am also thinking about malpractice lawsuit, perhaps you could write about that from time to time. I will be back. Hello, what do you think concerning where to buy omega xl? Very awesome subject, right? Thank you very much for writing this, I bookmarked this page. I’m additionally interested in guidance about brown upvc windows, have you any idea exactly where I could find something like that? I’ll be back soon! We are a gaggle of volunteers and opening a brand new scheme in our community. Your site provided us with helpful info to work on. You’ve performed a formidable process and our whole group will likely be grateful to you. Woah! I’m really digging the template/theme of this site. It’s simple, yet effective. A lot of times it’s hard to get that “perfect balance” between user friendliness and appearance. I must say that you’ve done a superb job with this. Also, the blog loads very fast for me on Chrome. Excellent Blog! Admiring the commitment you invested in the site and in-depth facts you provide. It really is great to find a site occasionally that isn’t the same expired re-written stuff. Wonderful read! 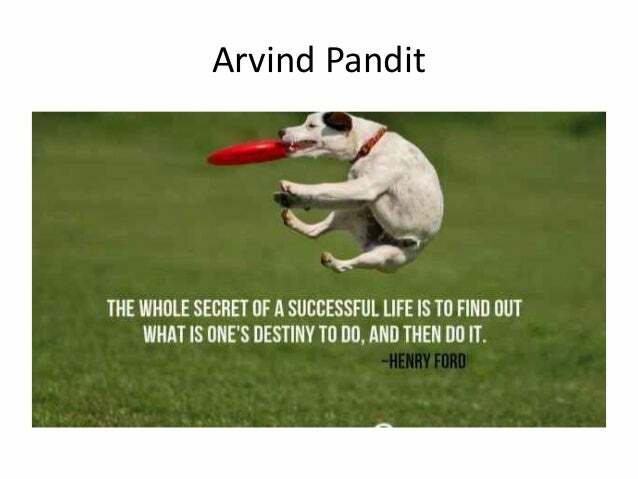 I have saved your webpage and I am adding the RSS feeds to our Arvind Pandit page. What i do not understood is in truth how you are no longer actually much more neatly-liked than you may be now. You are so intelligent. You know thus considerably in terms of this subject, made me in my view imagine it from numerous numerous angles. Its like women and men don’t seem to be interested unless it’s something to accomplish with Lady gaga! Your own stuffs nice. Always maintain it up! It was actually amazing to read this info and I think you’re really correct. Let me know in the event that you’re curious about house intercom, this is my principal competence. I hope to see you soon enough, be careful! Thank you so much for giving everyone an extraordinarily marvellous possiblity to read in detail from this site. It is always so fantastic and stuffed with a good time for me personally and my office peers to search your website no less than thrice weekly to read through the fresh guides you have. Of course, I am just usually happy for the terrific creative concepts served by you. Selected two points in this post are really the most beneficial we’ve ever had. I get that type of info written in such an ideal way? I’ve a undertaking that I’m simply now working on, and I’ve been at the glance out for such info. You’re absolutely right and I totally understand you. Whenever you wish, we might as well chat around more twitter followers, one thing that intrigues me. The site is really remarkable, regards! nice post…..thanku for sharing with us..
wonderfull post….thanks for sharing this post with us…. Thanks for sharing this lovely post with us…..we are waiting for your another write ups.. Outstanding post! Amazing great work…..